There’s nothing better than sharing the spirit of the Christmas season! 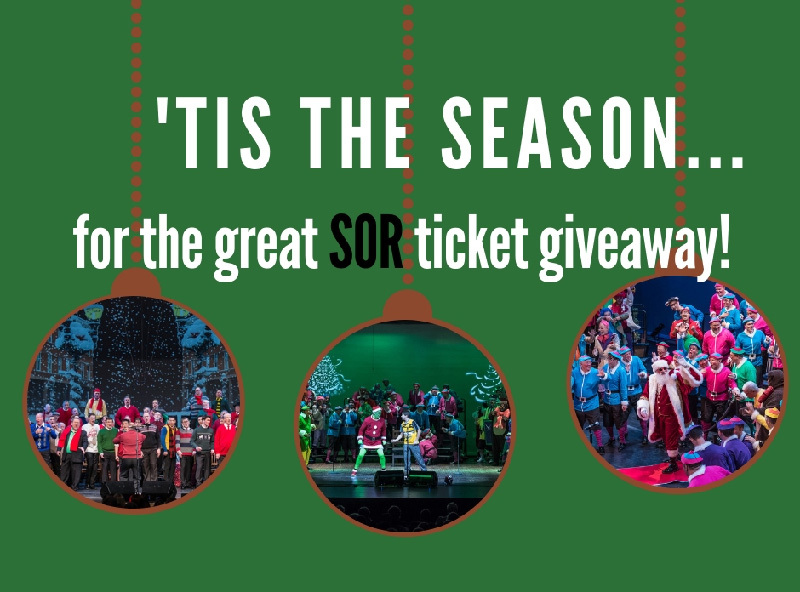 So we are especially thrilled to announce that during the last three weeks of November Sound of the Rockies fans have an opportunity to win free tickets to our fabulous Christmas Show at the Newman Center. When you participate in our contest on Facebook, you’ll be automatically eligible to win a package of four free tickets to our Friday, December 7th show simply by providing your input on our Facebook page. Answer our query in the comments section. Tag a friend who you want to get into the spirit of the season (someone who is not already following SOR on Facebook). Get them to like our Facebook page for bonus points! Provide your input by end-of-day Saturday. Find us on Facebook and participate in our contest. Then, join us for an evening of world-class holiday entertainment for FREE!